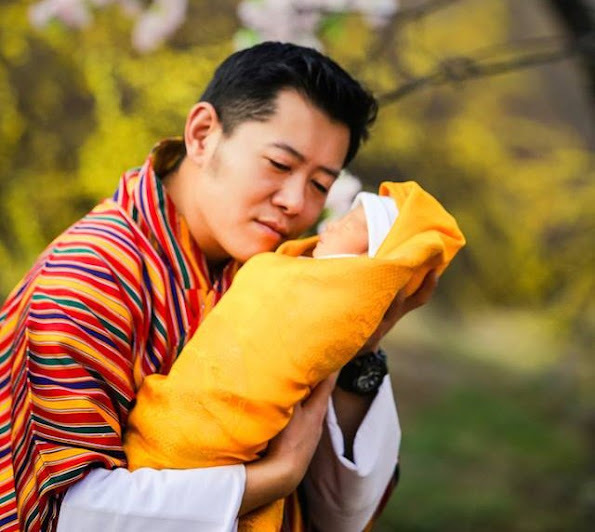 King Jigme Khesar of Bhutan (Jigme Khesar Namgyel born on February 21, 1980) celebrates his 36th birthday on February 21. 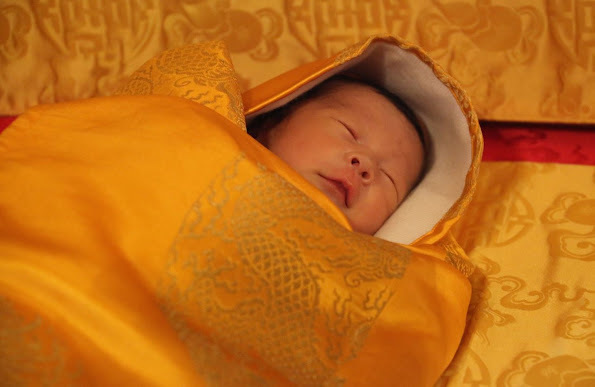 In honor of the birthday, Bhutan Royal House published new photos of 15 days old newborn Prince (Gyalsey). I totally agree. Wonderful, wonderful pictures. 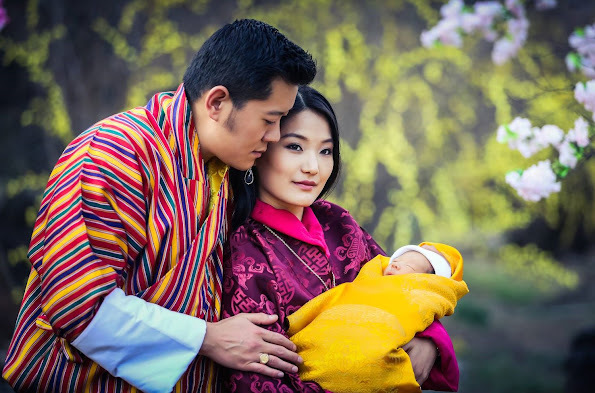 Lovely photos, the newborn prince is just adorable! How sweet pictures! 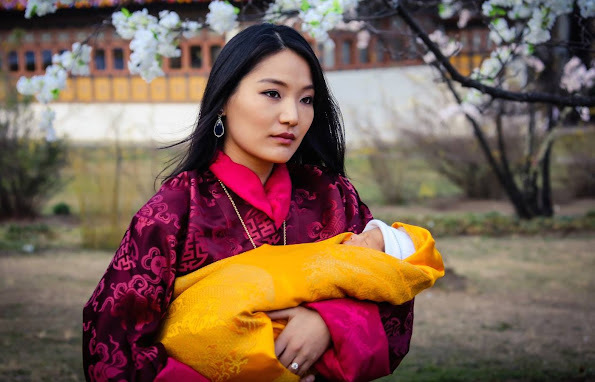 Jetsun Pema is very beautiful woman. Wow, what an amazing beautiful family. May God Bless them and watch over them and their little prince!!! Such beauty I have not seen in a very long time!!! Une famille heureuse et des photos belles et exotiques. Merci. What a lovely selection of touching photographs of the Royal Family, especially the new addition ! Lovely pictures, beautiful traditional costumes, the heir wrapped in a gold blanket wearing a knit cap (modern nod? ), but what's the baby's name? The official title is HRH The Gyalsey. Gyalsey means "dragon child". I believe The Gyalsey means Kings Son or Prince. In my humble opinion this is what Royalty should look like. Traditional costumes, traditional values. No, one does not need to dance ballet in a Moroccan Musk or wear Prada to represent it's country. Beauty meets class, integrity, history, and pride of your home land. Bravo Your Majesties and the young Crown Prince. Don't be so naive. 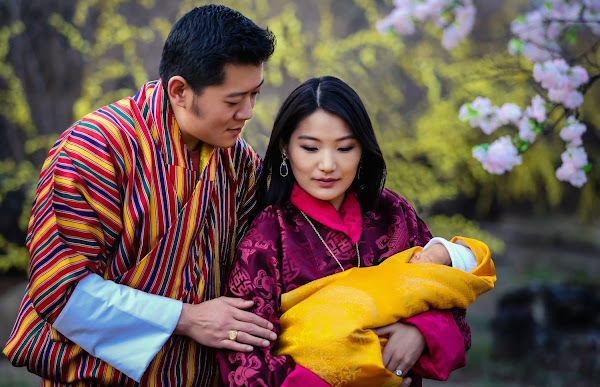 Do you really think that common bhutanese people can afford the clothes their royals are wearing? Those are for them the very equivalent of Prada in the West if not beyond. Do you really think as well that common bhutanese people can afford to travel and go abroad like their royals? Believe me, there are Likely much more Danes Who can afford to go to Morocco than Bhutanese to travel to neighboring India or Nepal. At the end of the day, what matters is that people are happy with what their royals represent and do for them. It's clearly the case in Bhutan, as it is in Denmark. Thanks for the link, Anonymous 8:36. Clearly, these traditional clothes are just for photos, haha. I can not believe people are so naive. No they are not just for photos if you check on the King or Queen Facebook pages even on official state visit they always represent their countries in the traditional clothing. Thanks much for the link we see things as they are not always traditional. They should represent their country in traditional clothing, there is nothing wrong with this, also wearing in private what is to personal taste as long as it is attractive and respectable as a royal. Bhutan leads the developing world in many policies, this photo session is so beautiful for the natural and authentic affection and ease of this new family! As we saw from their state visit to UK they are wearing western clothes on official state visit too. Did you really again need to bring Catherine to chain were is absolutely nothing related to her. I am so fed up reading these Catherine hate mails in every single post. In early pictures of Charlotte her head is uphold with Catherine´s forearm and the child was completely safe. I just cannot believe what all is diged up to be negative for Catherine. Wow! Anon 10:15 - You should really get some help with that chip on your shoulder! Exactly... I agree with you... I am from India.... A land rich with culture and heritage.... Royalty sticks with tradition and pride... This gives a majestic look..
en een hele blij papa en mama !!! New photos of the Prince Prince of Bhutan? The Gyalsey means Prince. The Prince. The Gyalsey of Bhutan=The Prince of Bhutan. 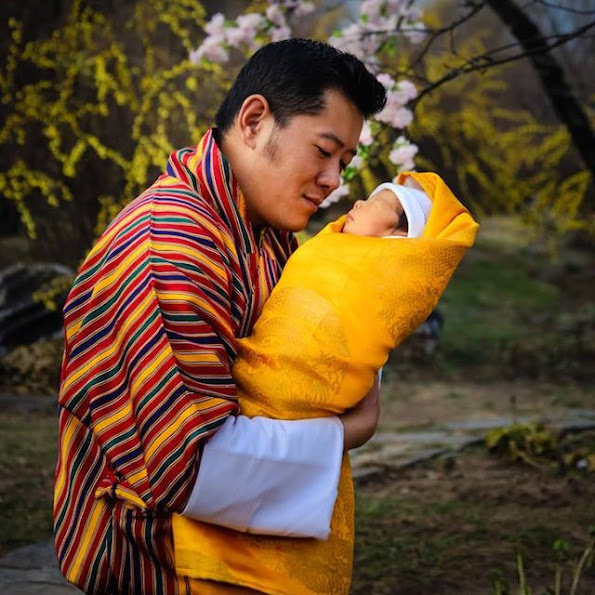 He has a name now-Jigme Namgyal Wangchuck, announced 16 April 2016.